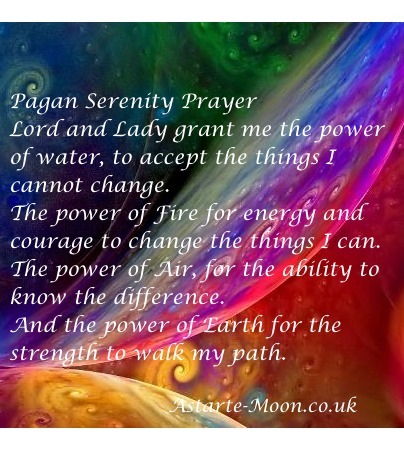 The power of Fire, for the energy and courage to change the things I can. The power of Water, to accept with ease and grace what I cannot change. And the power of Earth, for the strength to continue my path.